With a culinary career that spans over 35 years, Chef Marengoni brings with him a wealth of experience in his native cuisine. 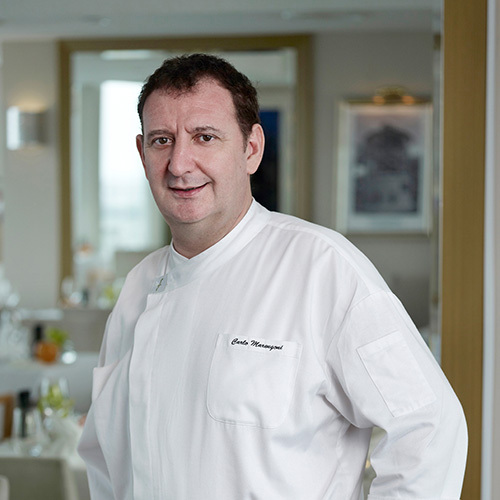 An advocate of delivering the most authentic Italian flavours that he grew up with, Chef Marengoni ensures that he works only with the freshest ingredients of each season – the way he would have prepared his family’s meals in Italy. Finding like-minded individuals in the form of his talented culinary team at The Lighthouse, who have always sought to deliver unpretentious Italian fare, Chef Marengoni presents exquisite menus of his specialties for both The Lighthouse restaurant and the rooftop bar.